Paul Oakenfold’s Trance Mission album – due for release in the spring will feature fresh and exciting cover versions of ten of Oakenfold’s all timefavorite trance records. The first single on Perfecto Fluoro from the album is Paul’s driving remake of one of the most recognizable riffs of all time in electronic music. 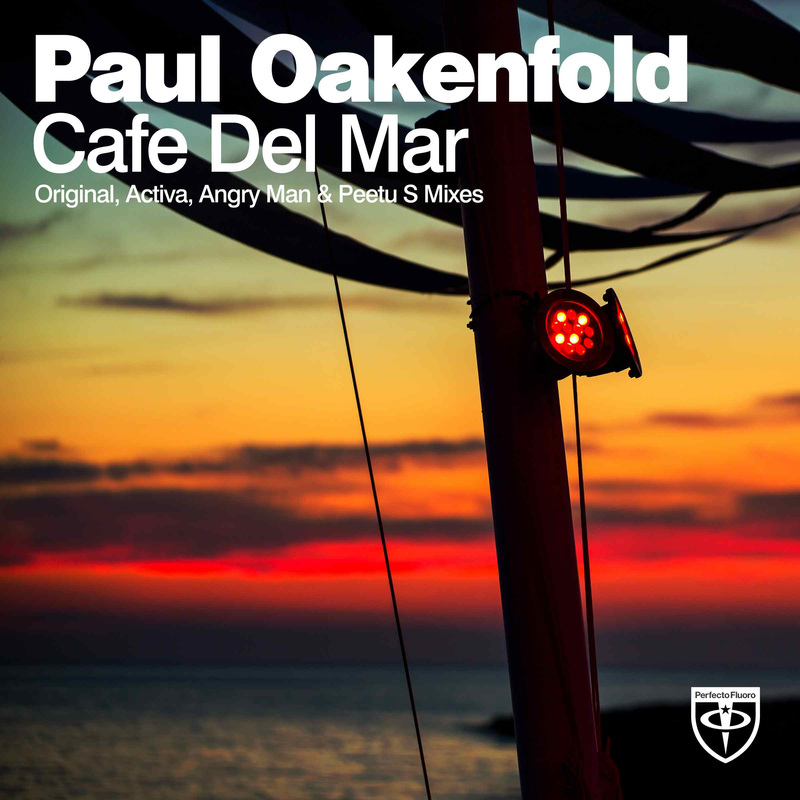 Mixmag voted “Best Tune Ever” in 2001 and BBC Radio 1 listener voted best dance track of the last 20 years in 2011 there have been countless remixes of “Café Del Mar” over the years but few have covered this seminal title till now. “After making more of a big room, new school trance sounding remake of “Toca Me” for Perfecto I knew when it came to “Café del Mar” I wanted to take things in the fluoro direction. The riff just begs you too. And since that was always the plan I also knew I wanted key Fluoro names remixing it as well so got Activa, Angry Man and Peetu S – who are all backbone contributors to the label to stamp their signature style on their versions. This is a touch peak time package for proper trance fans. Every time I’ve played this out in the last few months the place has just gone off. It’s nice to resent the track in a different, kind of GOA Trance themed style,” Paul Oakenfold says. Four unique takes on Paul Oakenfold’s cover of what is arguably the biggest trance record of all time.